You will find the list of cases you are evaluating, managing or administering on the Case List page. 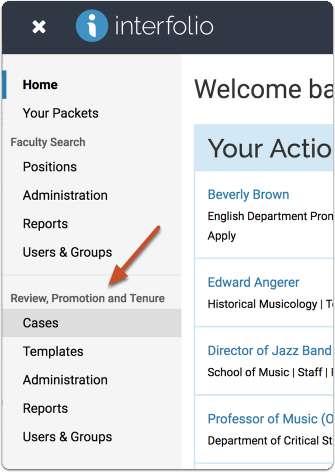 Administrators can filter this list to show active, archived, or all cases. Note that you can sign in using your Google account, or sign in through one of our partner institutions. 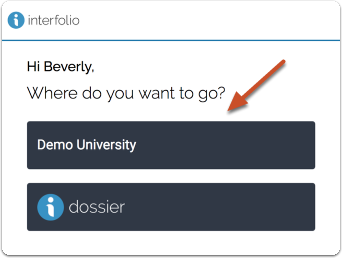 See here for more information on signing in to Interfolio. Depending on your role in the program, you may only see the unit and type filters. Select the cases you want by putting a check mark next to each one. 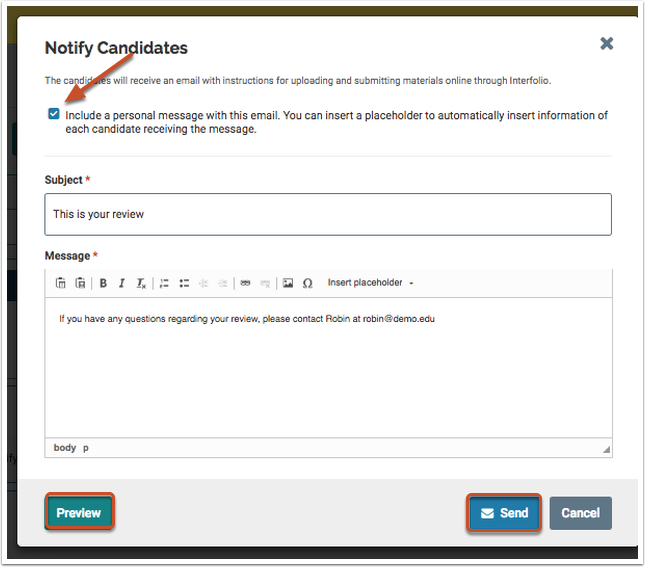 Click Notify Candidates in the blue ribbon on top of the Case List. 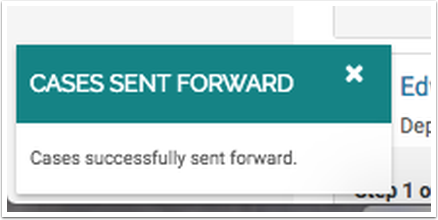 If you just want to send the message as is, click Send to send it. Otherwise, tick the check box to include a personal message. 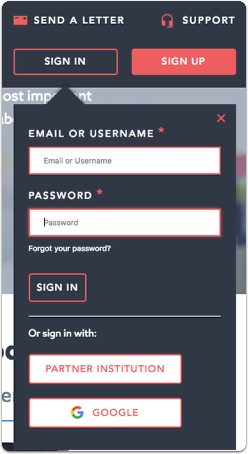 To include a personal message tick the check box and proceed to fill in all required fields. 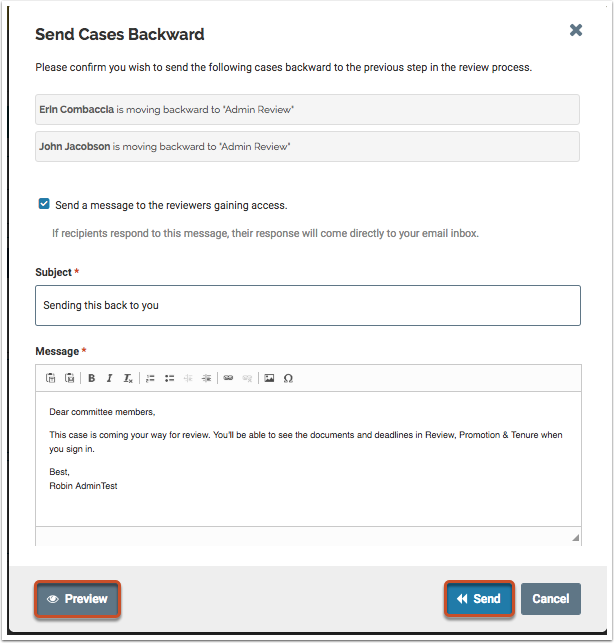 When done you can either preview your message and/or send it. Click Send Backward in the blue ribbon on top of the Case List. 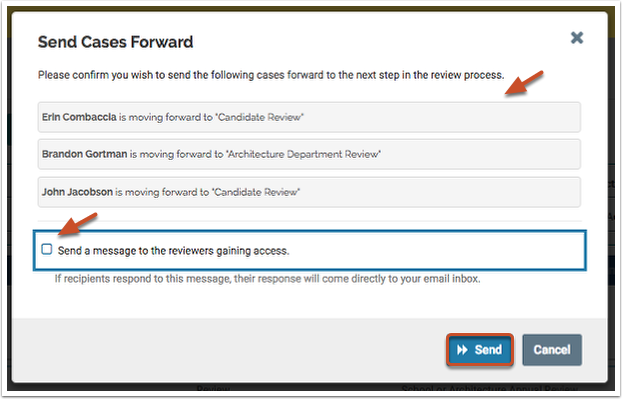 Confirm your choices by reviewing the list of cases in the dialog box. 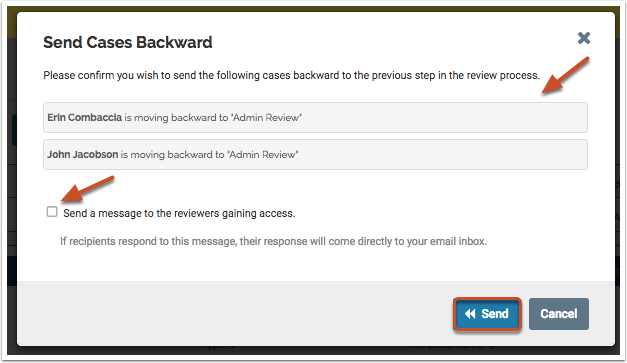 Select whether you want a message to be sent to the reviewers gaining access to the cases. If not, click Send. 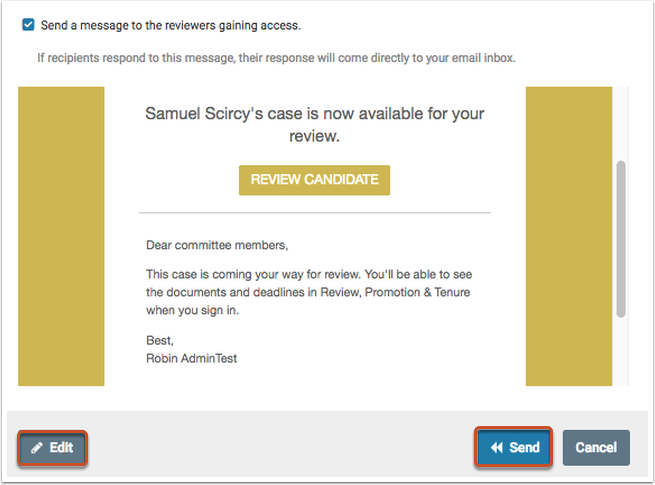 If you want to send a message to the reviewers gaining access, fill out the required fields to personalize your message. 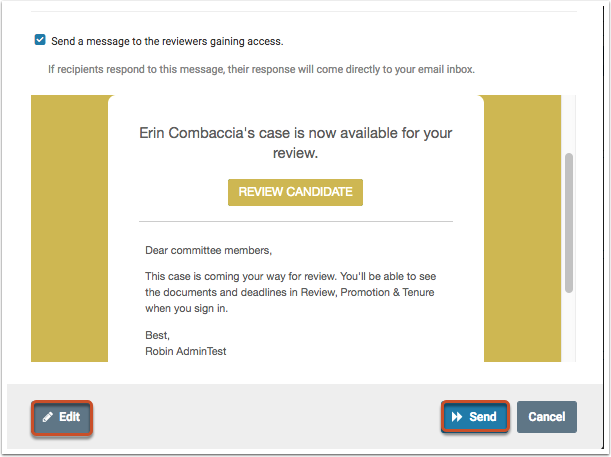 When done you can either preview your message and/or send it. 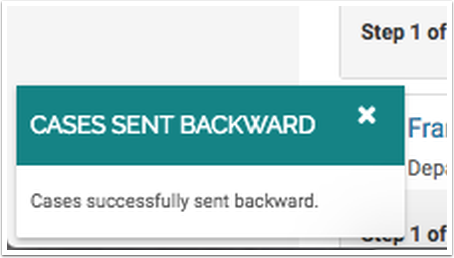 Click Edit to go back to the message, or click Send to send message and cases backward. Click Send Forward in the blue ribbon on top of the Case List. 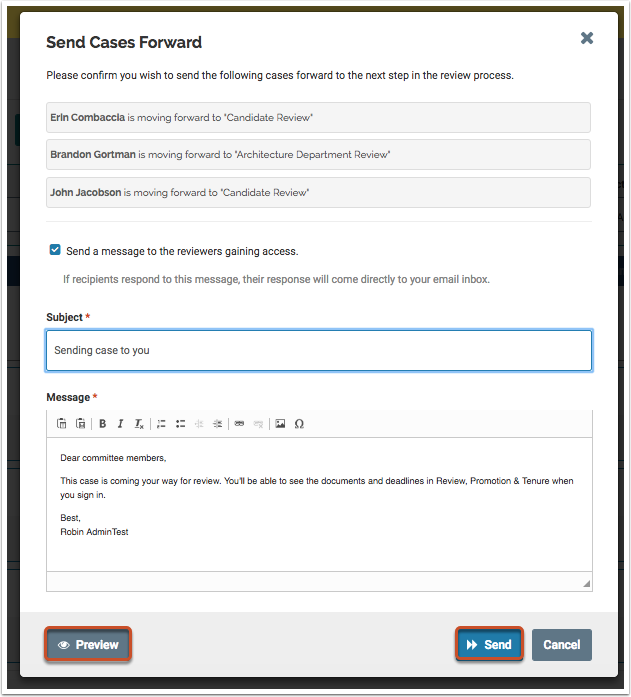 Click Edit to go back to the message, or click Send to send message and cases forward. 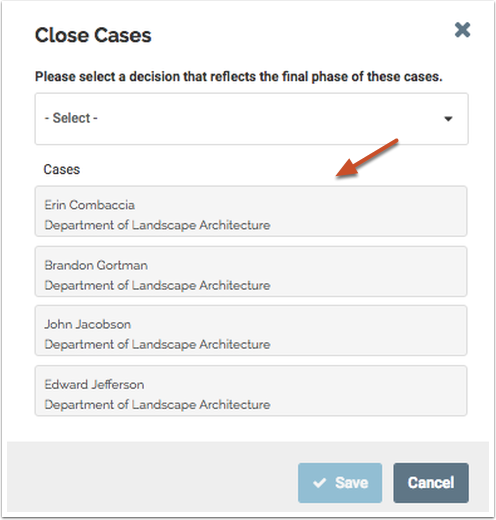 Select the cases you want to close by putting a check mark next to each one. 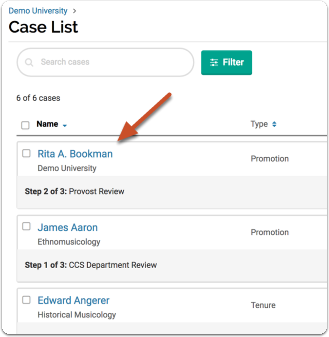 Click Close Cases in the blue ribbon on top of the Case List. 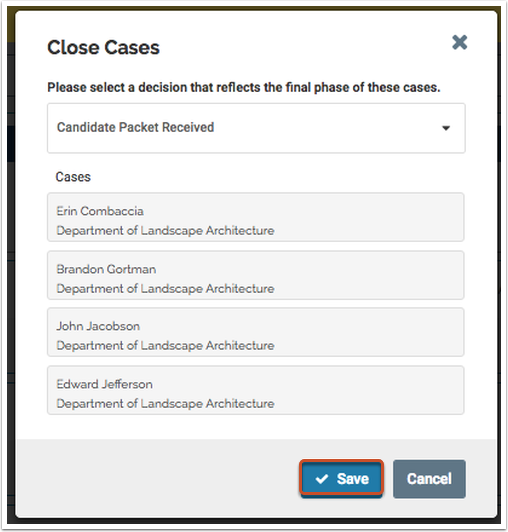 Confirm your choices by reviewing the list of cases in the dialog box. 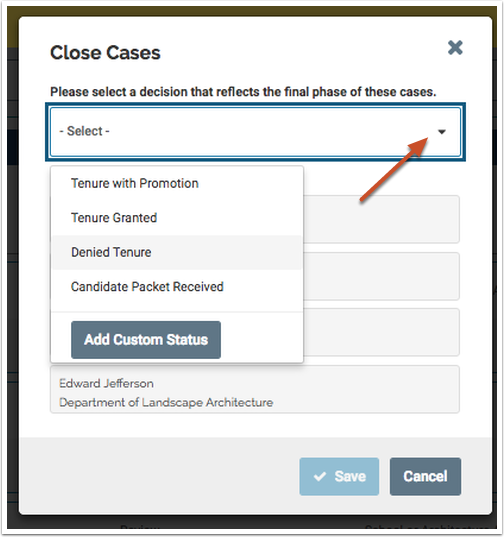 Select a decision that reflects the final phase of the cases selected from the drop-down menu. 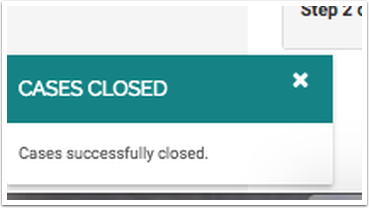 After making your selection, click Save to close the cases.